New Delhi, April 14: President Ramnath Kovind, Prime Minister Narendra Modi, Indian National Congress president Rahul Gandhi among others on Sunday paid tribute to the father of the Indian Constitution and Dalit social reformer Dr Babasaheb Ambedkar on his 128th birth anniversary, also known as Bhim Jayanti or Ambedkar Jayanti. Ambedkar Jayanti 2019 Quotes on Dr Bhim Rao Ambedkar's 128th Birth Anniversary: Famous Sayings by the Father of Indian Constitution to Remember on This Day. "Homage to Dr B.R. Ambedkar on his birth anniversary. An icon of our nation, and Chief Architect of the Constitution, Dr Ambedkar waged a life-long struggle for a modern India free of caste and other prejudices, ensuring equal rights for women and weaker sections," President Kovind tweeted. 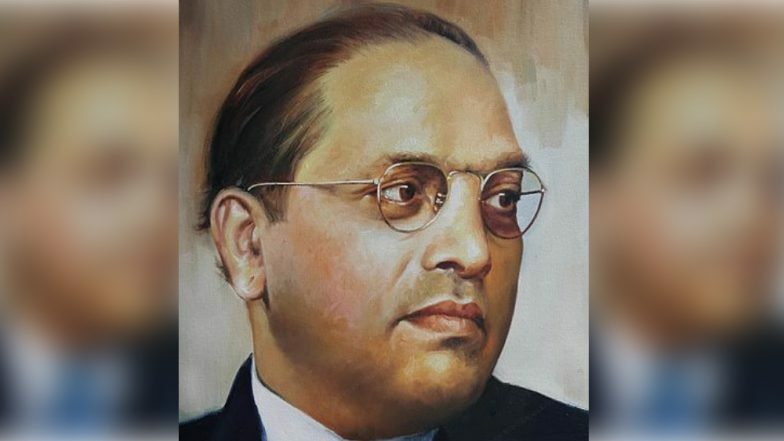 Ambedkar Jayanti 2019: Facts to Know About BR Ambedkar — The Architect of Indian Constitution. PM Modi in a video tribute, said "Babasaheb Ambedkar is an inspiration to crores of people including me. It is not necessary for a person to born in a rich family. In India, a person born in a poor family can also dream of big things and can achieve them." Ambedkar Jayanti Date and Significance. Rahul Gandhi in a tweet said, "On Dr Babasaheb Ambedkar’s Jayanti, let us re-dedicate ourselves to the 4 universal values of JUSTICE, LIBERTY, EQUALITY & FRATERNITY enshrined in our Constitution. Those who pay him tributes on this day, while insidiously weakening these values, do his memory disservice." Bengal Chief Minister Mamata Banerjee also paid tribute to father of the Indian constitution. "Tribute to BR Ambedkar, statesman and father of the Constitution of India, on his birth anniversary. Let us pledge to uphold the ideals enshrined in our Constitution - sovereign, socialist, secular, democratic, republic, justice, liberty, equality, fraternity," she said. Dr Babasaheb Ambedkar dedicated his whole life working for the upliftment of untouchables, women, labourers, and weaker sections of society. Born on April 14 1891, Ambedkar became the first law minister of independent India, the architect of Indian constitution and a founding father of the Republic of India.